When I was a Realtor years ago, I recall having to constantly meet new people from many different companies and organizations on top of greeting / screening new buyers locally and internationally just to get a deal going. Then comes the Settlement process that would take weeks to validate everything if I was lucky. 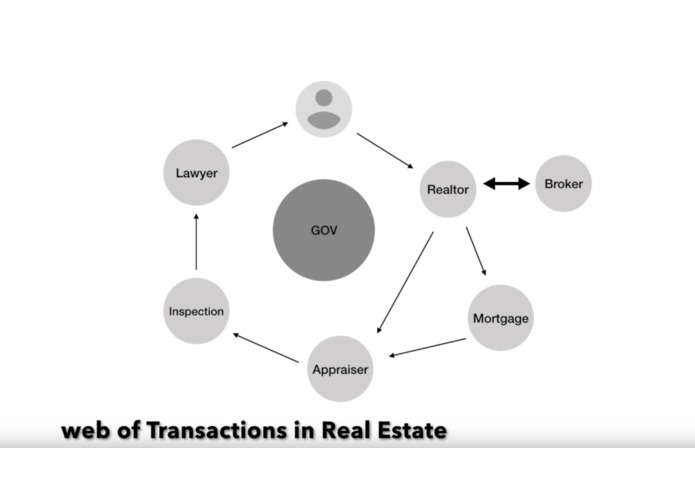 The truth is that Real Estate transactions almost always involve multiple private / public parties and individuals like Brokers, Mortgage companies, Appraisal services, home inspection, lawyers, accountants, and government. As a developer who have been working with blockchain, I see how Identity and Trust can help ease some of the pain points in the Wild Wild West of Real Estate. 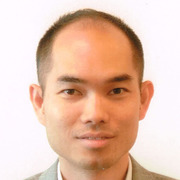 CredsBlock is a platform to decentralize Identity, build Reputation, and deliver Attestation to catalyze Real Estate processes by Seeding Trust. 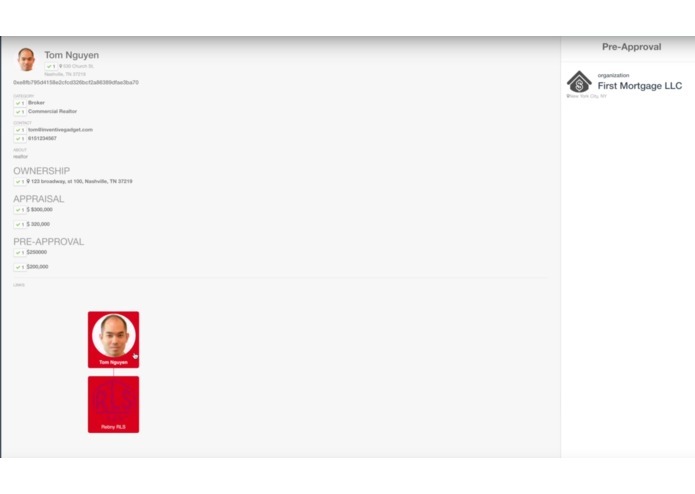 Any organization or individual can create a Profile. However, to be active, CredsBlock Admin must first approve. 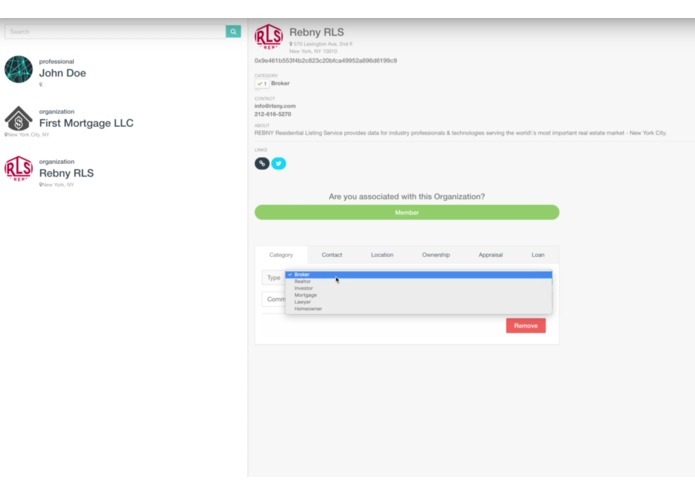 Then, the Organization or Person can freely request more Claims to be Validated among active Profiles to foster a Reputation. Through this referral positive reinforcing mechanism, we can start to seed the network effect that is required to establish the Governance Structure. 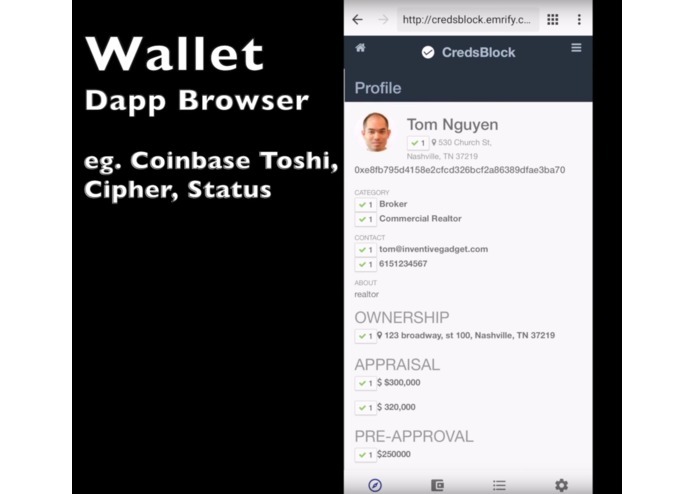 Once the Trusted Profile are validated, real-time Attestations can be delivered anywhere instantly via the mobile dapp browsers like CoinBase Toshi, Cipher, and Status.im. There are unlimited Claims that can be added for Validations like background checks. The key here is the Network of Trust with a strong foundation. These are very real and concrete scenarios that through the collaboration with REBNY, CredsBlock can start building these Trust Layers today. 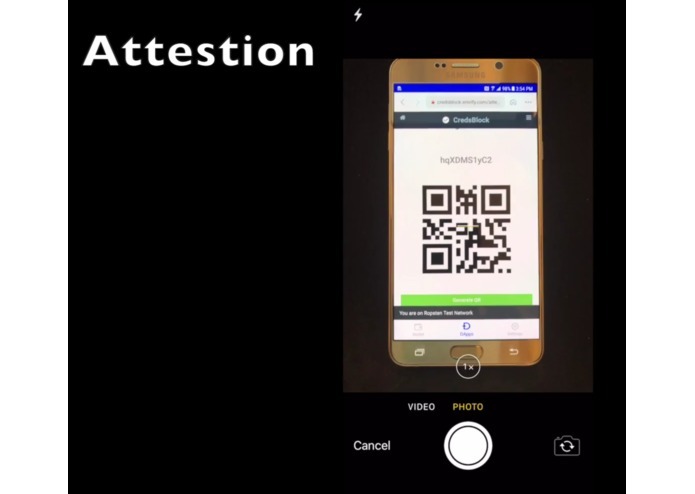 The QR scanner on mobile wallets run locally on the dapp browser that can then post transactions to Ethereum. 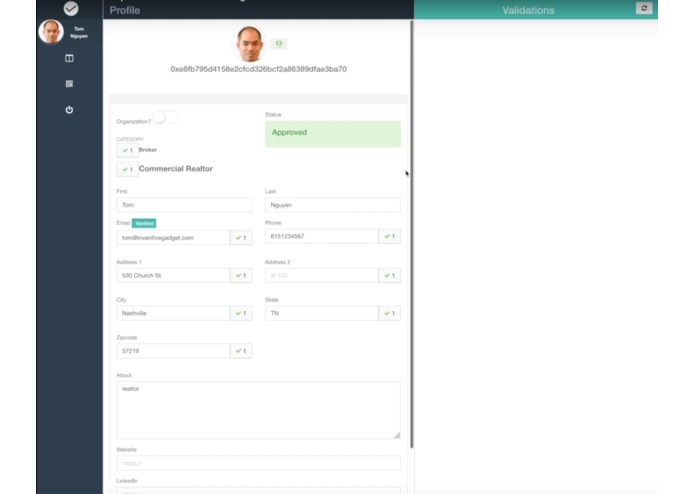 This was an innovative technique to deliver Attestations on the go accessible on the most popular wallets today. The tools are available today to help alleviate real aspects of real estate transactions. Wallets are interoperable from MetaMask on desktop to Cipher on mobile phones simply by transferring the 12 seed words private key. Trust can be seeded now. Real world use cases can be disrupted with a little grassroots revolution.